The proof of the pudding is in the eating so why not give our demo website a test run? 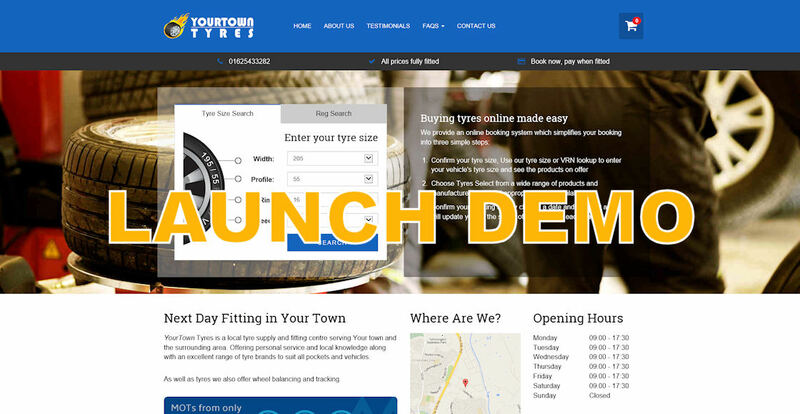 You can find it at at www.YourTownTyres.co.uk or just click the picture below. Feel free to place bookings and use your mobile number and email address in the checkout to try out our text and email comms. 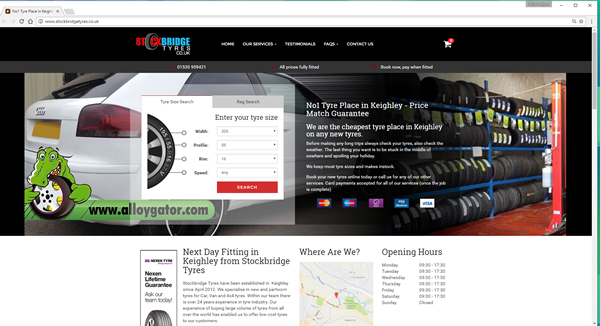 Based in Keighley, West Yorkshire, Stockbridge Tyres have a proven track record and a strong reputation in their community. Stockbridge Tyres offer next day fitting on many tyres as well as MOTs, exhausts, batteries and servicing. J and J Tyres are a family run tyre business based in Sawston, Cambridgeshire. The business was set up by the family over 30 years ago and takes great pride in serving the local community. Selecta Tyre is an independent, family-run tyre business set up in 1973. Selecta Tyre operates 15 branches across the East Midlands and the North West of England. 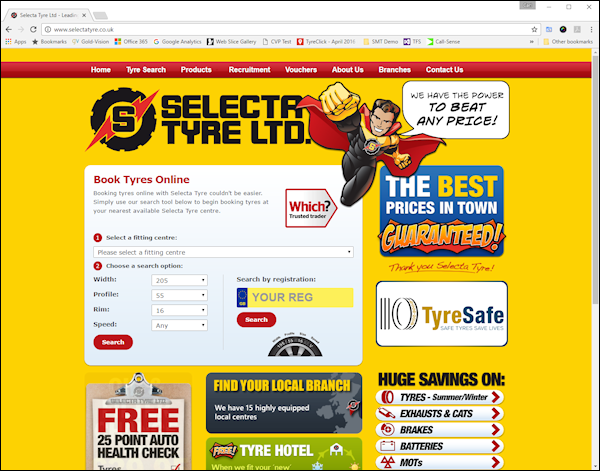 Selecta Tyre selected SellMoreTyres.com's eShop Extension to add their 15 branches to their existing website. 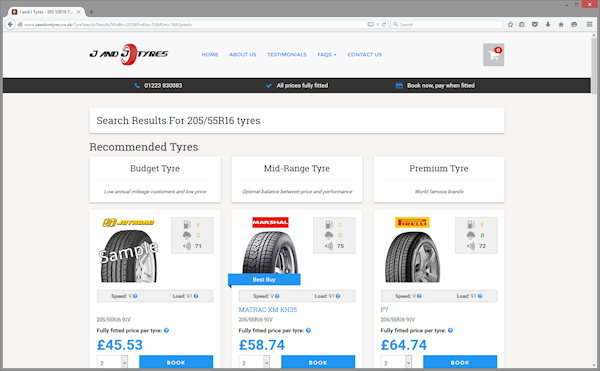 Each location is driven by local stock and pricing giving Selecta Tyre maximum flexibility online.